Cool funny monster & kawaii clothes. 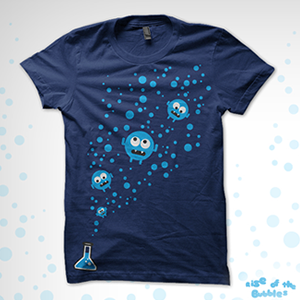 Our sweet little bubbles make definitely every T-shirt into a real "fashion must-have"! The T-shirt design looks realy nice on baby and children's clothing. Get the funny design on t-shirts, hoodies, zipper, baby & kids clothes, bags and much more. Did you not find what you wanted, check out our T-shirt Designer. Here you can easily make your own custom t-shirt.